Pretty colorful pom-poms always draw my attention. They make anything instantly fun. 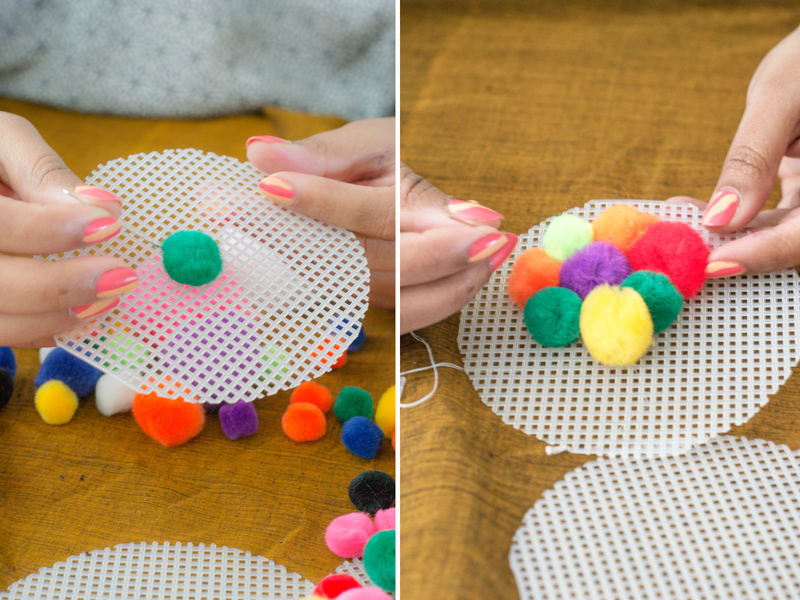 Sometime ago, my sister showed me a pom-pom rug in a magazine and I instantly loved the idea. Last week, taking that as a inspiration, we made these fun coasters. I now have this on my office desk and it adds a much needed pop of color to my otherwise boring desk. Things you need : Clear Plastic canvas(10.5 x 13.5), One bag of pom-poms in various sizes and colors, Thread and needle, scissors. Step 1 : Using the old coasters trace on the plastic canvas with a pen. One 10.5X 13.5 will make 6 coasters in regular size. 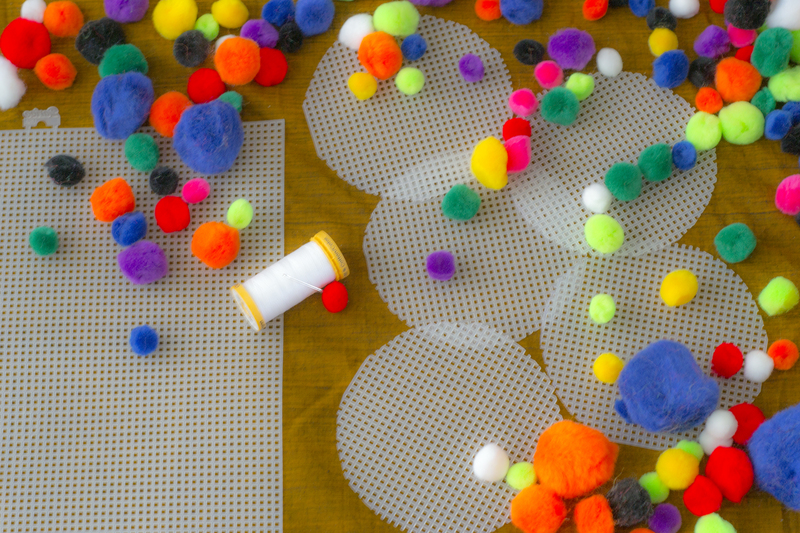 Step 3: Using a thread and needle strich the pom-poms to the canvas. Don’t worry if you don’t know to stitch. We don’t know too, just keep stitching until all the pom-poms are in place. Alternatively, you can use cork coasters and stick the pom-poms on them using crazy glue.